In this exclusive video, we go behind the scenes at Il Lombardia with U.S.-registered WorldTour team EF Education First-Drapac p/b Cannondale. EF arrived at the final monument of the season with two contenders for the win: Michael Woods had finished third at the World Championships, while Rigoberto Uran is a perennial podium finisher at Il Lombardia. Ride along with EF from the pre-race meeting inside the team bus, to the front seat of the team car, where sports director Fabrizio Guidi reacts to the race's decisive moments. It's as close as you'll get to being in the race yourself. 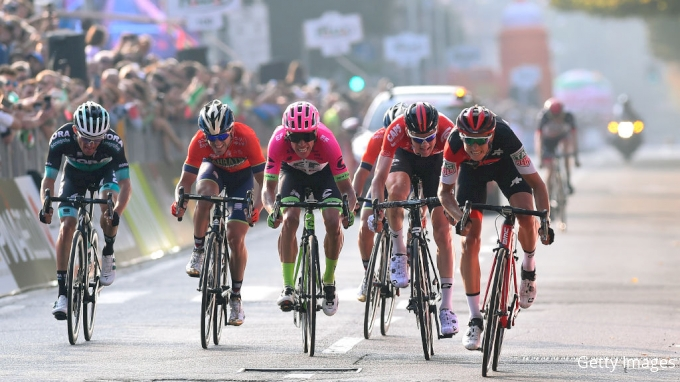 Join Pro to watch Il Lombardia on-demand on FloBikes.